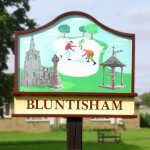 Bluntisham Parish Council have purchased a mobile speed detection camera in order to monitor speeds travelled at certain key areas within the village. The data used can help the parish council with their bids for funding to help improve road safety and is useful information to keep. The parish council have the following unit: Evolis Radar Speed Sign which is capable of logging speeds from vehicles travelling in both directions and displaying the speed travelled with text. The unit has spent its first month in Wood End and data from this period can be found below. The next location is Rectory Road.